After a dominant win in the main event of UFC 205, dual-weight world champ Conor McGregor announced he’s about to become a father! 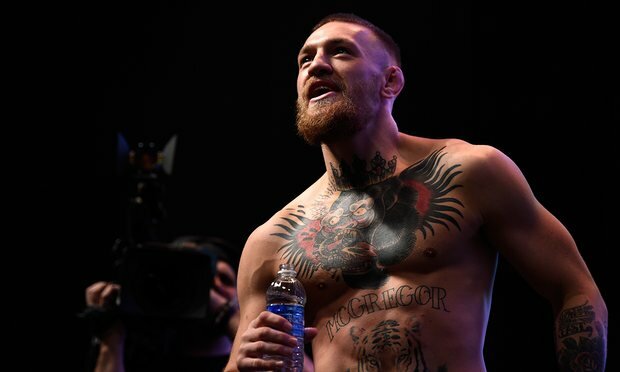 McGregor, now the first UFC fighter to hold two championship belts in two weight classes simultaneously after defeating Eddie Alvarez November 12th, told reporters post-fight that his girlfriend Dee Devlin is expecting. It’s being wildly speculated that McGregor will take some time off before his next fight to spend time with Devlin. McGregor fought 3 times in 2016, beating Alvarez and going 1-1 against Nick Diaz.